We use gymnastics as a medium for physical fitness and strive to create an environment where children are shown respect, feel safe, are challenged physically, and develop ownership of physical skills.This approach is empowering and enables children to explore beyond their normal comfort level, resulting in independent, confident, and self-assured young people. Gymnastics is beneficial to everyone. It allows children to develop strength, flexibility and agility, which are not only useful for athletic achievements, but are also important to a child’s health and well-being. The performance of Gymnastics skills demonstrates perseverance and the ability to overcome fears as new skills are mastered, they develop self-esteem, mental and physical strength, that is not only useful in Gymnastics, but will also serve them well in their future. Dynamix will strive to share with each and every child, our experience and knowledge of this beautiful and exciting sport and in turn we hope to be part of their success. At Dynamix we offer every child the best professional instruction, in a fun-filled and safe controlled learning environment, where they are treated as an individual. We strive to build on their character with patience and focus and instill confidence, self-motivation, fitness knowledge, leadership and team work. 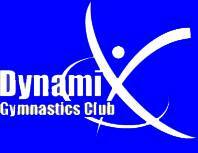 Come and enjoy your journey with Dynamix Gymnastics Club.